That Bobby Womack song? Not as weird a fit as you’d think. So here’s what’s up: Your character has just emerged from a record store with a sweet haul when some a-hole drives by and … nevermind that, actually. 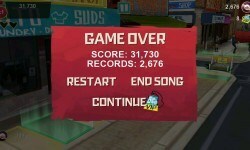 What you’re doing is running down a city sidewalk, collecting records and avoiding obstacles. 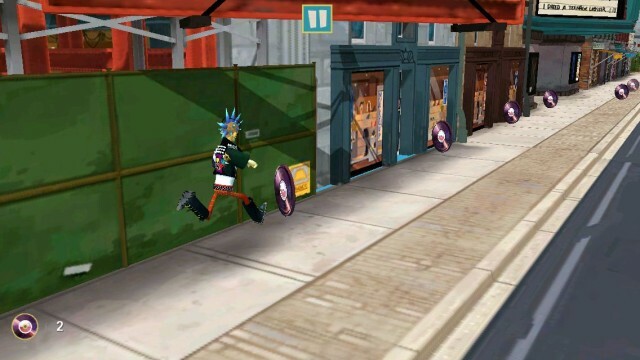 It’s not so different from an endless runner, other than the part where it actually ends, but the twist is that you’re trying to dodge, duck, and jump hazards along with the beat of the musical accompaniment. Just go get it right now. 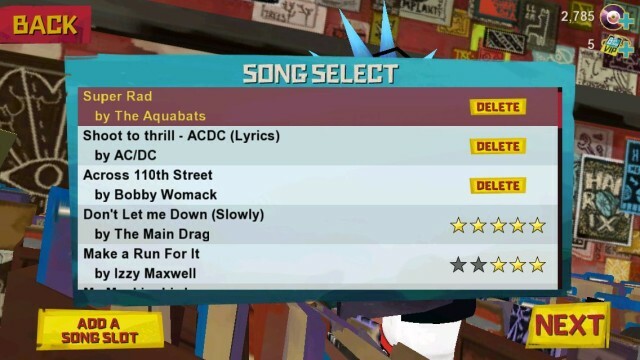 You can also pick up records along the way which are the game’s currency, and you can build up your multiplier for maximum score and to boost your rating at the end of the song. Clearing levels earns you “Backstage Passes” which you can use to add more song slots. And like in Audiosurf before it, you can add anything from your phone or tablet. It’s fun, it’s cool, it’s amazing. I’m out of ways to recommend it. The Good: Fun, simple, and you can easily put any song you want in there. The Bad: Bit of a learning curve at first, and the ads are annoying. The Verdict: It’s awesome. Get it.